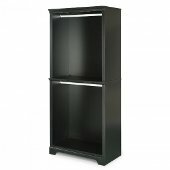 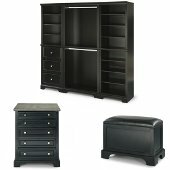 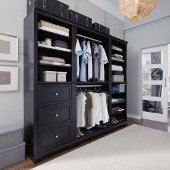 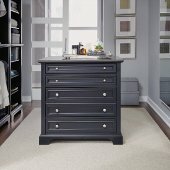 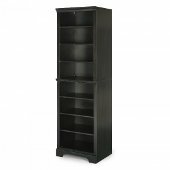 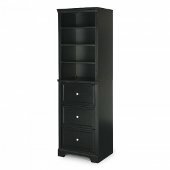 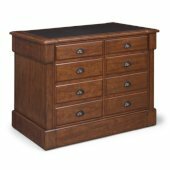 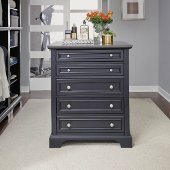 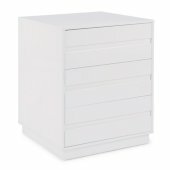 All pieces of Home Styles Closet Organizers are constructed of solid poplar and engineered woods in a satin black painted finish, with brushed nickel drawer pulls. 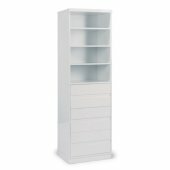 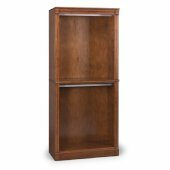 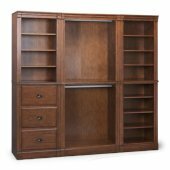 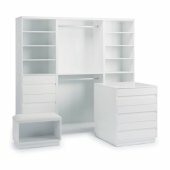 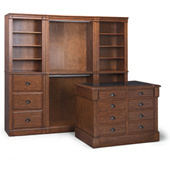 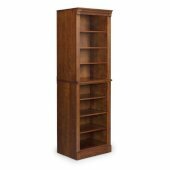 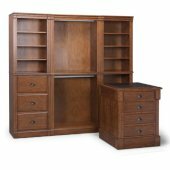 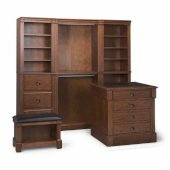 The 3-piece wall unit consist of one 25" wide Drawer Unit with 3 drawers and 3 adjustable shelves; a 36" Hanging Unit with both upper and lower hanging area, and a 25" wide Shelf Unit with 6 adjustable and 2 stationary shelves. 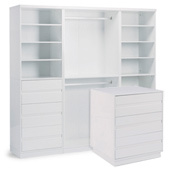 All 3 units feature adjustable levelers that can be accessed from the base without tipping the units over, allowing easier installation in the tight closet areas. 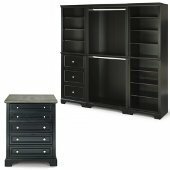 The Closet Island has a quartz stone top for maximum utility, and have drawers on the one side and shelving on the reverse side. 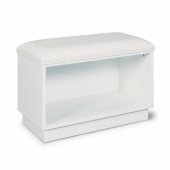 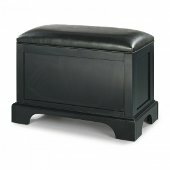 The Bench has an easy to clean and maintain padded black vinyl upholstered top, with an open cavity for added storage.